Program of the Annual General Meeting (AGM) and Conference 2017. 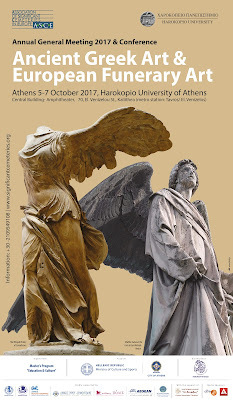 Title of the conference: Ancient Greek Art and European Funerary Art. AGM and Conference will take place on the 5th, 6th and 7th of October at Harokopio University in Athens. Instructions on how to reach Harokopio University are available here.